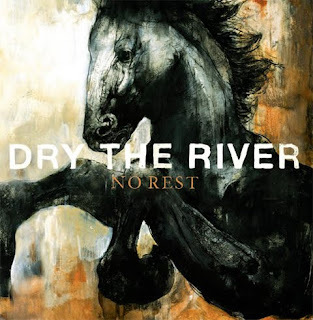 Dry The River have described their sound as "folky gospel music played by a post-punk band" which makes total sense: Mumford or Fleet Foxes-esque falsetto vocal harmonies and folk inflected melodies, lyrics that reference Soloman amd Rehoboam and an epic concoction of guitars, brass and orchestral strings. The band are led by Norweigan-born frontman Peter Liddle. His heritage shows - his voice and guitars reverbing across frozen fjords. There's even a touch of the Icelandic Sigur Ros here, similarly painting spectacular vistas with their sound. The quintet now reside in London, having had a successful year of tours and festivals across the country, which is set to continue following their Sound Of nomination. No Rest may begin quietly enough, but it soon expands and crescendoes into a tumult as Liddle belts out emphatically "I loved you in the best way possible". Catchy, alt-folk pop that not so much tugs at your heartstrings but rips them out with Nordic spirit. Listen: No Rest is available now, as is their EP 'Weights & Measures'. Watch: Dry The River will be touring in late January and February next year.